Pete's back for a return engagement with a new audience. Do we love him? GOODNESS YES! He's singing, he's dancing, and he's rocking our classroom. So we are singing and dancing and rocking our school. First we rocked Pete's shoes. We needed something beginning-of-kindergarten friendly. I found these fabulous Pete shoes at April Larremore's Chalk Talk. Gluing (let's get those lids on kidlets), following directions, spacial relationships, two groups of two, and putting names on the back - all good September skills. 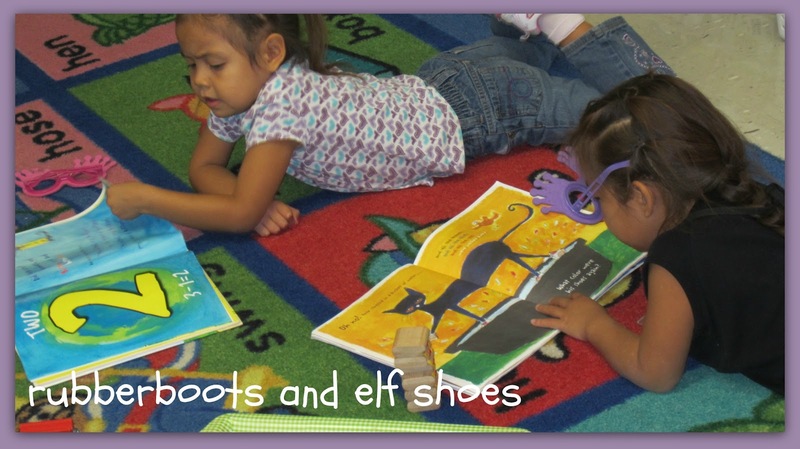 Then we rocked our own school shoes. 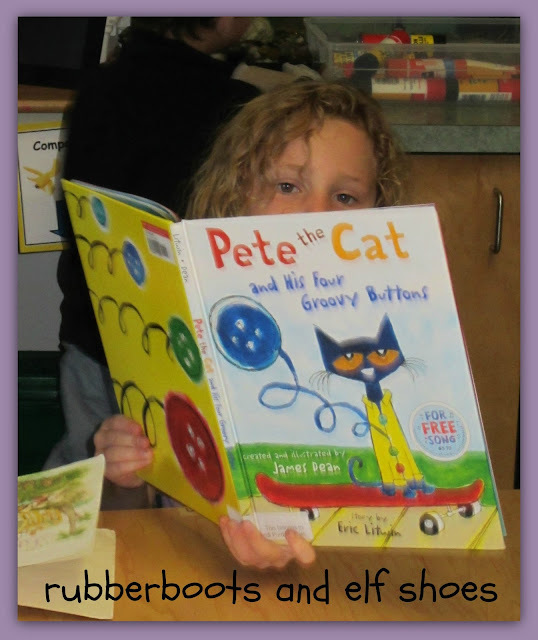 I took pictures of all the kidlets (and a few adults) wearing their school shoes and we made our first class book. A lift-the-flap book at that! The kidlets glued their school shoes pictures onto the photo box and printed their "best" names on the line. 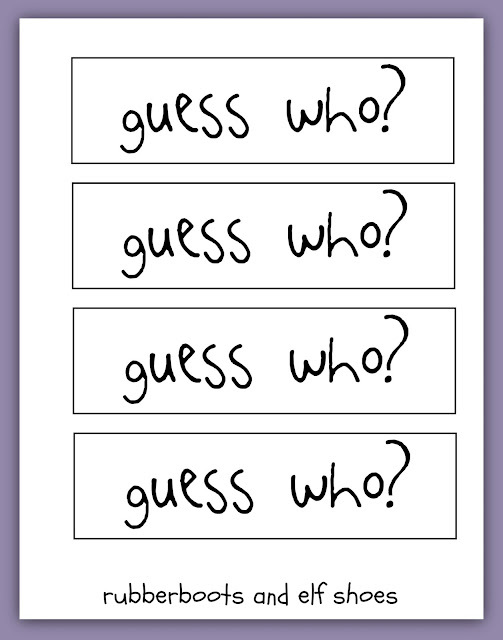 Then we stapled a "guess who" strip on top of their names. Click on the graphics for your free download. 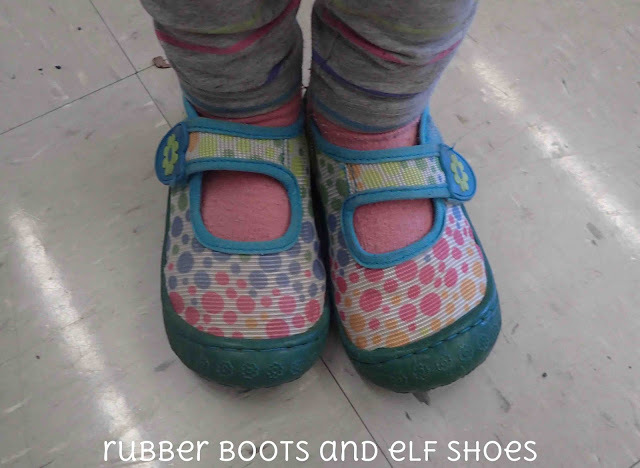 Can you guess which shoes belong to the principal, the custodian and the kindergarten teacher? Pete has a great attitude. I love that he wears cool shoes, that he does not cry over the small stuff, how he reminds us that whatever we step in can wash off and that "it's all good". 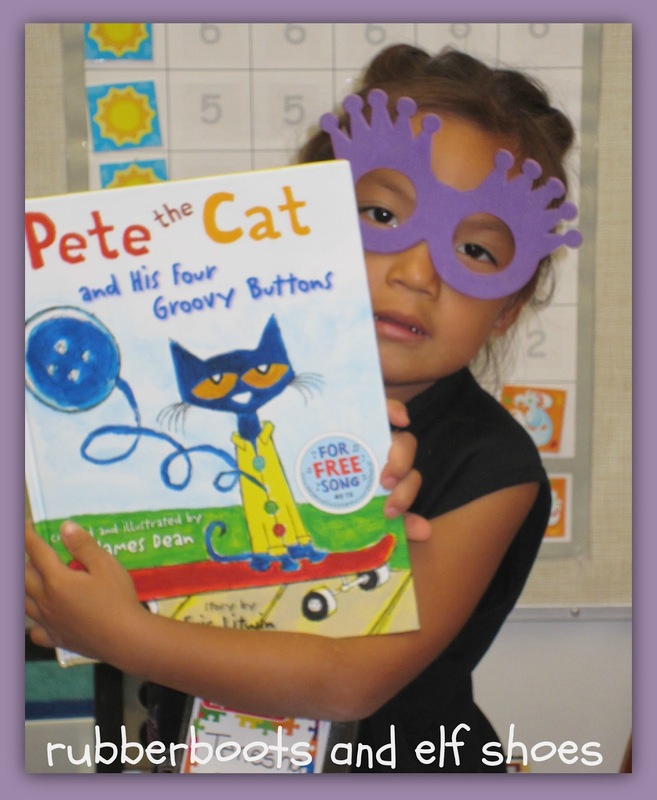 But the biggest reason that I love Pete is that he brings the joy of books and reading to kids. Looks like we will have to read Pete's Four Groovy Buttons soon! Pete buttons for addition or subtraction or ???? It's a new school year, and it's all good. I love how much they all love Pete! 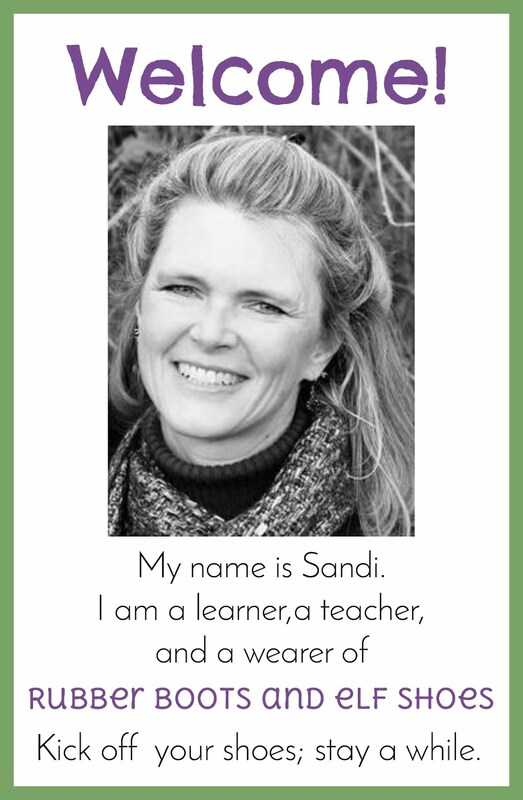 I love your class book, Sandi! I think I'll do that too. Thanks for sharing it. I love it when Pete's language is used by the kids - its all good! This is the BEST idea I've seen in a long time!!! Thank you for sharing...I can't wait to do this one! Thanks Jennifer. 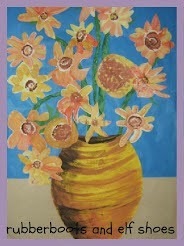 Hope you and your kids enjoy making a reading a class book. I LOVE this! Hope you share it on Math Monday Blog Hop! Great idea! I can't wait to do this with my students! 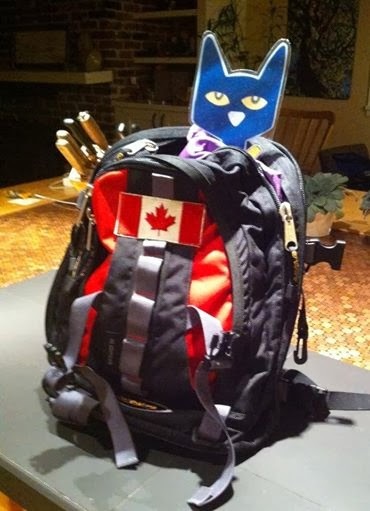 I just got a big stuffed Pete the Cat and we are ready to rock in our new school shoes! 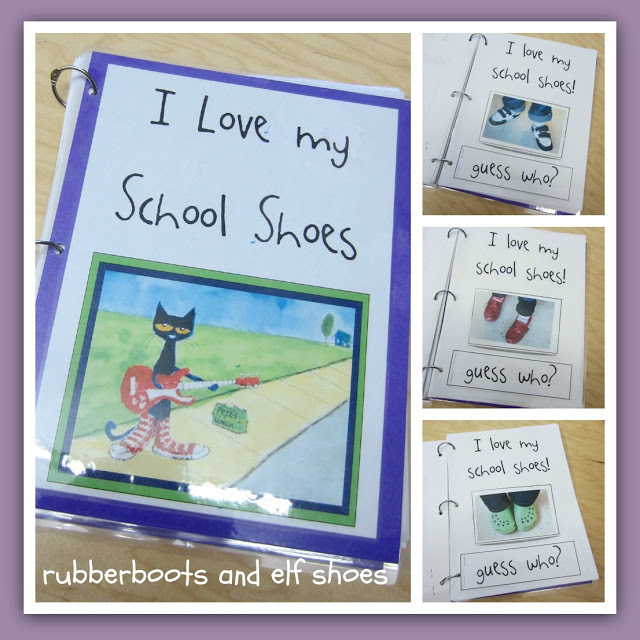 Hope you and your class enjoy rocking your school shoes.